LAQA & Co needs your help! Their soon to be released bundle of joy needs a name! 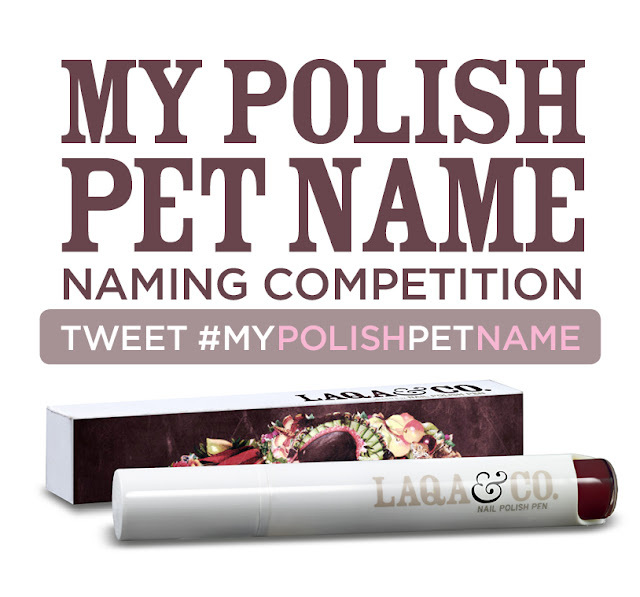 Tweet your name to them, using the hashtag #mypolishpetname, and you could not only be immortalized forever in their fall line, but win LAQA goodies to boot. The colour nail art pen associated with this competition is shown above which the lovely Carolyn from LAQA described as a 'dirty raspberry' colour, and which also to me seems a rich burgundy colour so I would be highly tempted to enter with an 'Anchorman' pun - Ron Burgundy is a hero, You can find out more about LAQA & Co via their website, facebook, or twitter. The competition starts today July 16th and ends Monday, July 30th so get entering now to be in with a chance to win their entire fall line! I'll be posting a review of the product soon to let you know what I think so keep your eyes peeled for that! I'd love to hear your entries! Remember the quirkier the better! give-away: look beauty range treats! 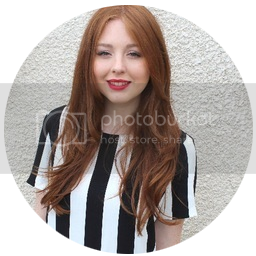 Look Magazine Street Style Competition - I won!